Dawson Murray studied at Glasgow School of Art from 1961-66. After his post-graduate year of study a number of awards permitted him to spend two years in Italy where he studied under Giuseppe Santomaso in Venice. He then moved to Sicily where his painting reflected the heat and fertility of the north coast. 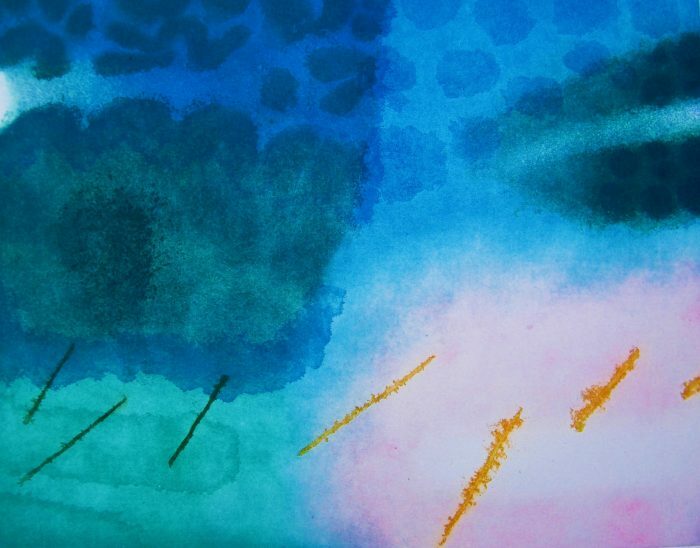 Returning to Scotland he spent 35 happy years involved in art education. He now lives in North East Fife and is married to the painter Liz Murray. Of his subject matter Dawson says ‘my work has always been about light and for many years has been based on the notion of the garden. 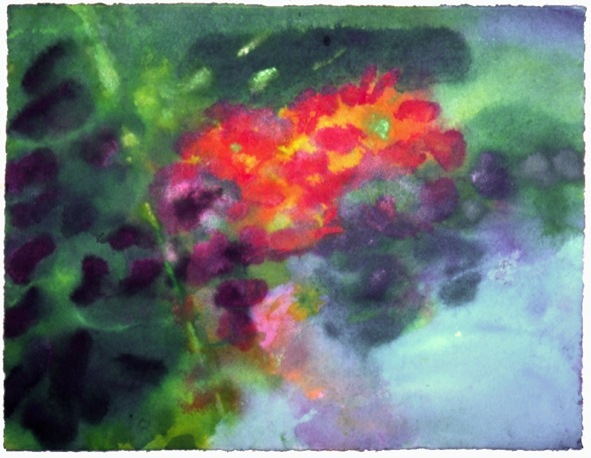 I am particularly drawn to the ambiguities caused by the movement of light across the garden as it appears to both reveal and contradict the underlying forms and structures.’ His passion for watercolour painting sprang from the innate volatility of the medium, the constant vigilance required when painting wet-into-wet and the critical scrutiny necessary while watching paint dry. The advance in severity of his MS has necessitated a change in direction to accommodate this condition, a challenge which he has embraced with characteristic boundless enthusiasm. All his recent work has been about interpreting those fluid marks associated with watercolour painting in the form of etching. He has personalised a ‘sugar-lift’ technique which allows him to create similar atmospheric qualities in his prints.